Highland Appalachian Transportation System (HATS) provides free assistance to Highland county residents age 60 or older. 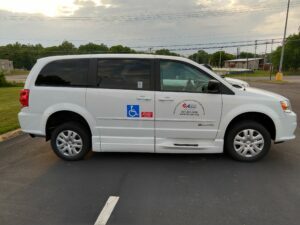 Transportation can be provided to and from medical appointments only. HATS has provided transportation assistance in the community for over 20 years. Funding is limited and donations are requested from participants to assist in meeting the needs of seniors in the community. HATS can provide transportation contractually through the Family Recovery Services Transportation program as well as for those receiving Passport services. Please contact us at 937-393-3458 for more information. HCCAO participates in the Highland County Locally Developed and Coordinated Public Transit – Human Services Transportation plan.